London Midland & Scottish Railway locos. No 41313 is an Ivatt designed 2-6-2 tank built from 1946 onwards. These were introduced to rid the sytem of some of the Victorian era locos then still in use on local passenger services. A total of 130 were built. No. 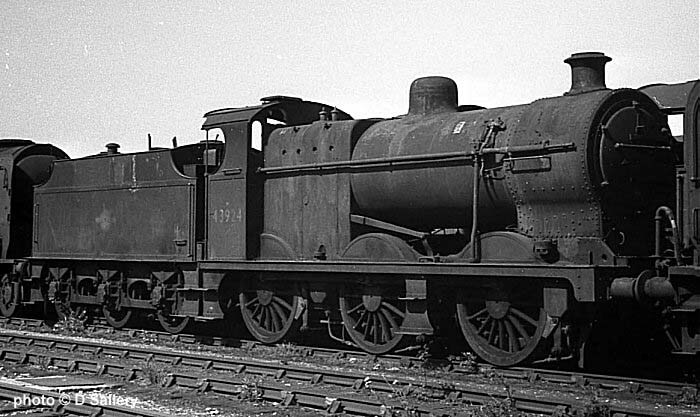 43924 was an example of the Midland Railway's standard freight engine, an 0-6-0 introduced from 1911. 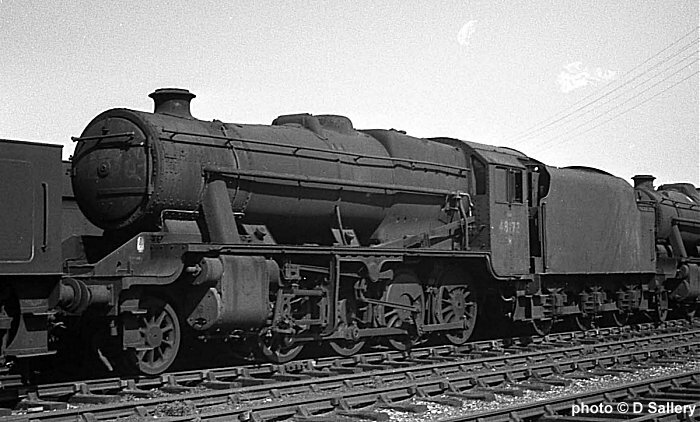 These locos continued to be built by its successor, the LMS, and despite their obsolete design continued in traffic almost to the end of steam. 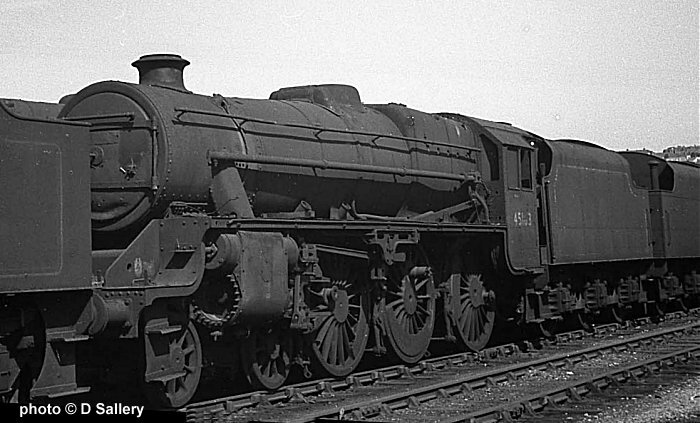 These locos were the heavy freight haulers of the LMS - Stanier's 8F 2-8-0's. Introduced from 1935 they were amongst the last steam engines withdrawn at the very end of steam in August 1968. A total of 666 were in traffic in the 1950's. With most of its motion missing, this is 48173. 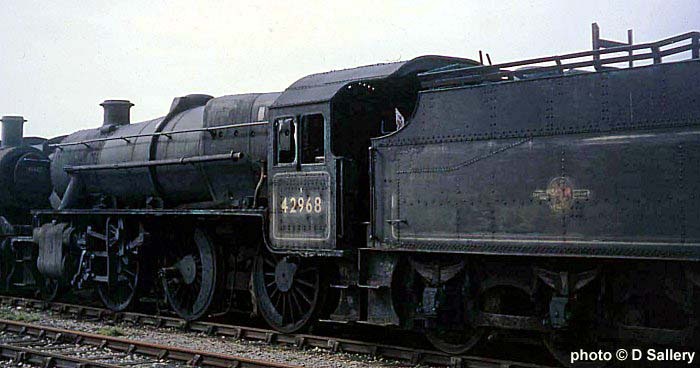 47406 is a Fowler 0-6-0 shunter, the chalked message reads "Pride of Edge Hill". Next to it is BR standard class 4 4-6-0 75069. 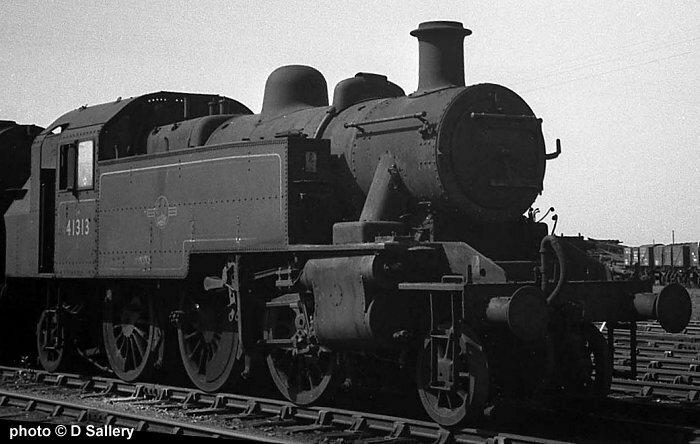 One of the most successful steam classes of all time were the Stanier class 4-6-0's. Built from 1934 onwards, no fewer than 842 were built. This example is an early casualty of modernisation - No. 45163. 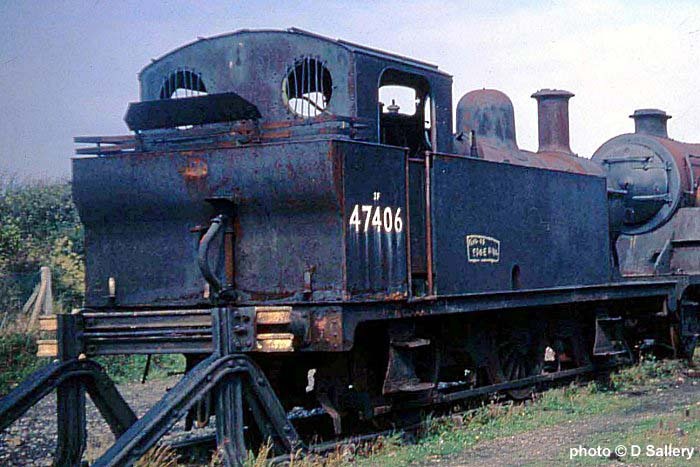 This engine is currently being restored on the Colne Valley Railway, Castle Hedingham, Essex.